Your students will enjoy creating with the Chatterpix app. What does it do? It makes things talk! Add a student's voice to an image- famous people, animals, objects, drawings... anything! This app reminds me of the site Blabberize.com and the app is incredibly easy to use. Simply select an image from the camera roll or take one, indicate where the mouth belongs, and record. You have 30 seconds to record whatever you want the image to say. When finished, save it to the camera roll and from there you can share via email, Youtube, Facebook, or Vimeo. 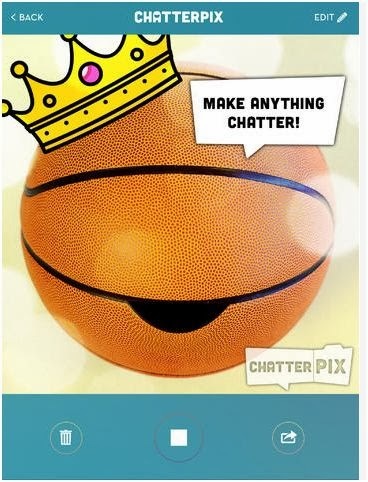 My students have loved using the Facetalker app to create talking images, but Chatterpix is even easier to use!